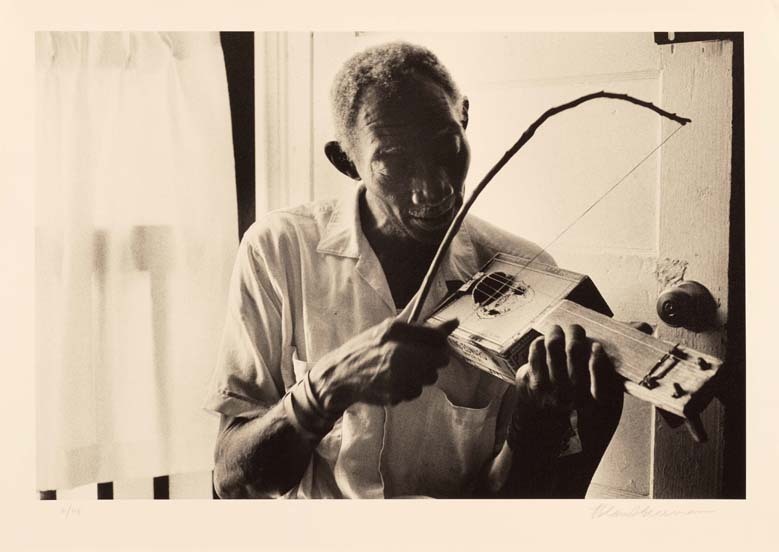 Scott Dunbar: born 1904, son of an ex-slave, on Deer Park between the Mississippi and Lake Mary (an eleven mile cut-off arm of the River) west of Woodville and south of Natchez, Mississippi. 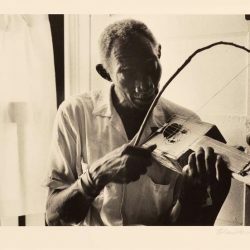 He made a guitar out of a “cigar box and a broomstick and some stream wire” when he was eight and played it like a violin. When he was ten he got a real guitar and began teaching himself to play. “My father died,” he says, “and then my mother moved to Natchez, and she died. I came on this side of the Lake and I been livin’ on this side ever since. Old Lee Baker, he played fiddle, and he came over and said, “C’mere boy, I want to hear you play that guitar,” and he brought me over to this side to play with his band. This illustrates perfectly the encapsulated world Scott lives in: he has never traveled more than a hundred miles from home, and to add an isolation of another sort, he is illiterate. Today Scott Dunbar is a fisherman and guide on Lake Mary, father of six, and resident blues singer of Woodville and rural Wilkinson County, Mississippi. There everybody knows old Scott. We hope this record will make him known to a wider audience. Scott’s music is not polished, and it was not developed for the concert hall or the recording studio. 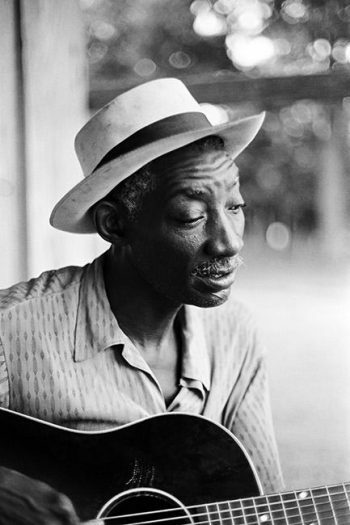 He taught himself to play accompanying the old people on the plantation; many of his songs he learned to play there as a child. He does not know the names of any of the chords he uses because he cannot read music. He tunes the guitar differently for different songs. His guitar playing is strong and loud, and he keeps time with a stomping boot-heel; this is an adaptation to a lifetime of playing not so much for as with riotous, noisy audiences with unamplified instruments and voice. In addition to the vast repertoire of traditional songs that Scott grew up with, he has “made up” a score or so, and learned many more “off the graftofome” during the twenties, thirties and forties. Since he cannot read, he has to keep his songs entirely in his head; often the words come out garbled or forgotten entirely. But to his native audience this does not matter at all. Scott has been performing songs for over fifty years now, and he will undoubtedly perform them in the same place and fashion for years to come. Thus the listener is presented with a novel sort of musical offering; a record by a strong old man who has reaped great rewards and true personal fulfillment. Scott Dunbar is not an unknown artist struggling for recognition: being one of the most well known men around Lake Mary has been enough for him.